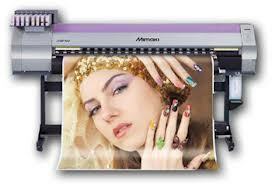 Large format printing is another service we do. We bring you 10 years of experience in this specialized field, and have highly knowledgeable people you can talk to about your large format printing job- from large posters, banners & POP to tradeshow graphics and custom wallpaper. We take pride in our Detroit craftsmanship, and guarantee your satisfaction. When you want your large format printing done perfectly- and on time every time- talk to us! Our state of the art facility includes a complete prepress shop, wide format printers of 60" width, and a complete finishing shop for laminating and mounting on board. We have the skill, and the capacity, to turn your large format print job around quickly and affordably. 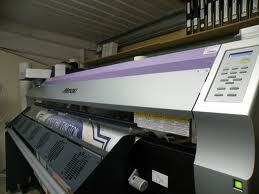 Our vinyl banner printing shop can produce outdoor vinyl banners of any length and width. We also stock a 50 point board that is 100% recycled and 100% recyclable for an end-to-end green product! We are large enough to have the right people and equipment to do your job well. We are small enough to give your job the personal attention to be sure it's done right.